See the first spoilers for the May 2019 Japan Candy Box! 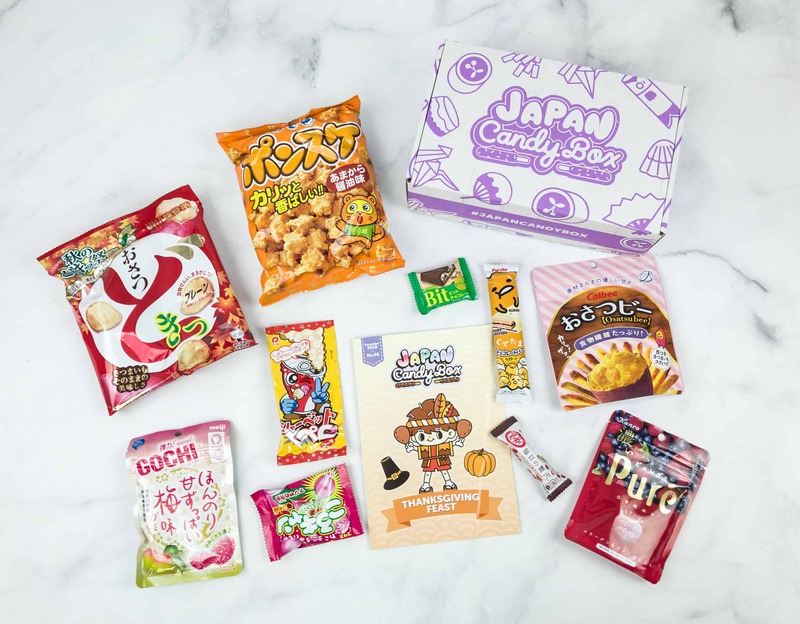 See the third spoilers for the April 2019 Japan Candy Box + $5 off coupon! See the second spoilers for the April 2019 Japan Candy Box! See the first spoilers for the April 2019 Japan Candy Box! Japan Candy Box $5 Off Coupon + March 2019 second spoilers! LAST CALL to get this box! Japan Candy Box $5 Off Coupon + March 2019 second spoilers! Japan Candy Box $5 Off Coupon + March 2019 first spoilers! Japan Candy Box $5 Off Coupon + February 2019 third spoilers! Japan Candy Box $5 Off Coupon + February 2019 second spoilers! Japan Candy Box $5 Off Coupon + February 2019 first spoilers! Japan Candy Box $5 Off Coupon + January 2019 third spoilers! Japan Candy Box $5 Off Coupon + January 2019 second spoilers! Japan Candy Box November 2018 theme is THANKSGIVING FEAST! See the Japanese snack box review + coupon code! Japan Candy Box $5 Off Coupon + January 2019 first spoilers! Japan Candy Box $5 Off Coupon + December 2018 spoilers #2! 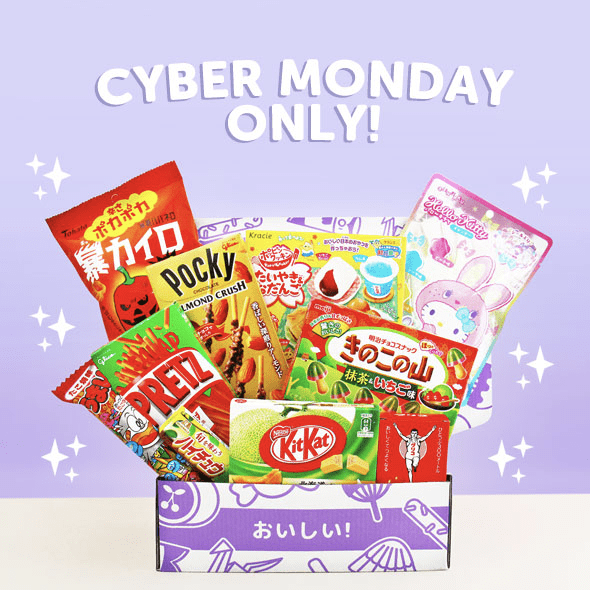 Grab this coupon for $5 off Japan Candy Box 6+ month subscriptions + FREE $20 Japan Candy Store Gift Card for Cyber Monday! Grab this rare coupon for $10 off Japan Candy Box 6+ month subscriptions for Black Friday! Japan Candy Box $5 Off Coupon + December 2018 spoilers! Japan Candy Box $5 Off Coupon + November 2018 spoilers #2!! Japan Candy Box $5 Off Coupon + November 2018 spoilers! Japan Candy Box $5 Off Coupon + October 2018 spoilers! Japan Candy Box $5 Off Coupon + September 2018 second spoilers! Japan Candy Box $5 Off Coupon + September 2018 spoilers! Japan Candy Box $5 Off Coupon + August 2018 second spoilers! Japan Candy Box $5 Off Coupon + August 2018 spoilers! Japan Candy Box $5 Off Coupon + July 2018 spoilers! Japan Candy Box $5 Off Coupon + June 2018 spoilers! Last chance to get this box! Japan Candy Box $5 Off Coupon + June 2018 spoilers! Japan Candy Box $5 Off Coupon + May 2018 second spoilers! Japan Candy Box $5 Off Coupon + May 2018 spoilers!